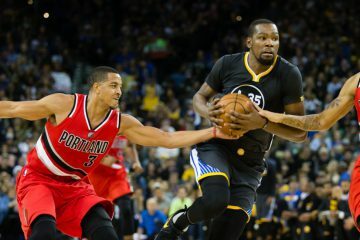 The Golden State Warriors (20-4) do not lose often but when they do, it is usually in spectacular fashion. Three of the Warrior’s four losses this season have been by 20 points or more, with the latest by 21 at the hands of the depleted Memphis Grizzlies. Anderson Varejao started in favor of Zaza Pachulia, who was out with a wrist contusion, and Golden State could do little right from the jump. After one quarter of play, the team had as many turnovers as made field goals (5). They were down by 15. After two quarters, the count was little better at 11 turnovers to 14 made field goals. They were down 23. If you watched the entire 48-minute beat down, you were treated to rookie Damian Jones’ NBA debut. He had 0 points, 0 rebounds, 0 assists and 2 turnovers, which still didn’t preclude him from being the Warriors’ best center in this contest. 1. 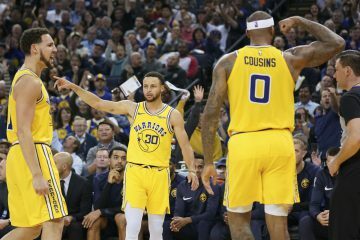 For a team as talented as the Warriors, they are certainly prone to having nights where they look more like the Washington Generals than Harlem Globetrotters. They lost to the Spurs by 29 and to the Lakers by 20. 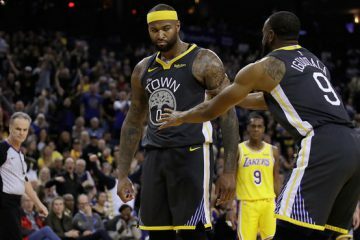 Instead of the breathtaking plays of basketball nirvana fans are used to, every once in a while the Dubs will play as if they’ve just met at the park. Stephen Curry air balled a 3-pointer by a foot. Klay Thompson blew two layups and shot 4-of-14 with Tony Allen harassing him. 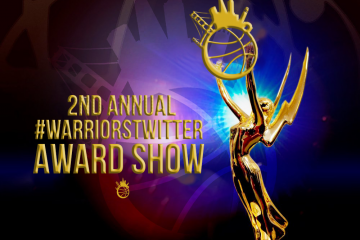 Anderson Varejao fired a pinpoint pass … into the first row. David West fouled a 3-point shooter with one second remaining on the shot clock. Kevin Durant picked up two early fouls and had to be benched. The entire team looked out of sync for 48 minutes and that’s how you get a 21-point beat down to a Grizzlies team playing without Mike Conley and Chandler Parsons. 2. It would be unfair to pin this loss entirely on Varejao; the whole team “sucked.” But AV is not good at basketball anymore. He’s too weak to defend Marc Gasol and too slow to stop JaMychal Green. On offense his jumper is a mess and he’s not scaring anyone on the low block. In 18 minutes of burn playing mostly with the starters (four of the best freakin’ players in the NBA, might I add), Varejao was an astonishing minus-18. 3. You know how you have to take the keys away from your too-drunk friend sometimes when he’s not looking? Can Joe Lacob and Bob Myers do that to Steve Kerr with Varejao’s spot on the team? Like when Kerr is doing the Downward-Facing Dog pre-game, maybe the two can release AV and save fans from the pain and suffering. 4. The Warriors only got 77 field goal attempts to the Grizzlies 87. They also had 9 fewer free throw attempts. Part of that deficit can be attributed to them getting out rebounded by five, but it mostly had to do with a season-high 23 turnovers. 5. Steph and Klay are both sub-40% on 3-pointers for the season (39.5 and 38 respectively), a career low for both. 6. 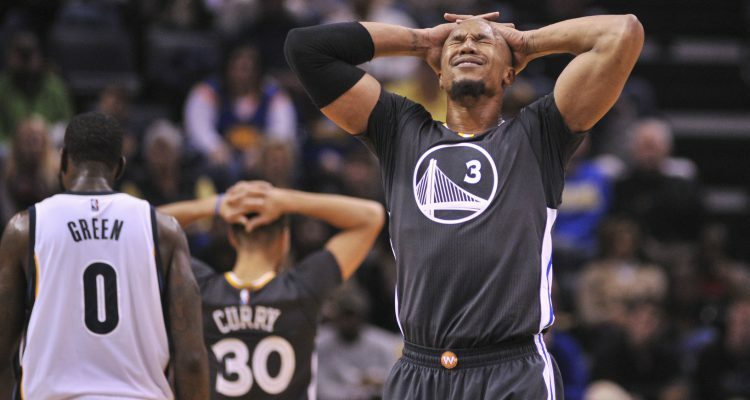 Shooting woes summed up: David West was the best Warrior from 3-point range in this game. He shot 2-for-2. 7. Props have to be given to the Grizzlies. Somehow without two of their top four guys, they’re 17-9 (fifth in the West) and have won all six games since Conley went down with a back injury. Whether it’s Lionel Hollins, Dave Joerger or David Fizdale holding the clipboard, this team just keeps grittin’ n’ grindin’. 8. Dubs had a season-low 15 assists. They lead the league at 31.8 a game. They had 13 in one quarter against the Clippers. 9. The Warriors are in the midst of a 4-games-in-5 nights set with a contest against the young and bouncy T’Wolves tomorrow. In a 21-point blowout, this would’ve been a good opportunity to raise the white flag early and rest up for Karl-Anthony Towns and Co. But nope. Steph, Klay and Dray all played over 31 minutes. 10. During the 82-game slog of the regular season, every team is going to suffer a drubbing like this. The Cavs and Clippers both lost three in a row, and San Antonio blew three out of four at home at one point. It happens. As long as the Warriors can grab the one-seed and home court throughout the playoffs, a game like this will be a minor blip on the radar.